When it comes to the patent system, the U.S. and Europe are having very different conversations. As Professor Shobita Parthasarathy explains in her new book, Patent Politics, patents for biotechnology such as gene editing are approached from a technical purview in the U.S., whereas Europe debates the theoretical questions. On a November 21, 2018, podcast interview for New Books Network, Parthasarathy walked host Chad J. Valasek through how patents became a “techno-legal object in the US, and...a moral and socioeconomic object in Europe,” and the implications this has for biotech—and ethical—development. Listen to the full podcast conversation on the New Books Network. Shobita Parthasarathy is a leading scholar on modern patent policy and the public interest. 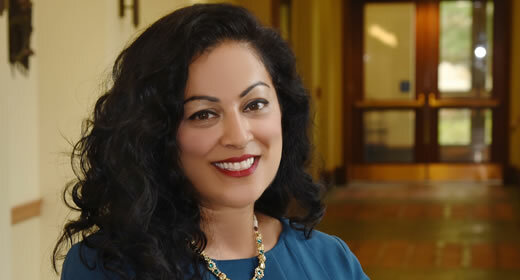 She is a professor of public policy and women's studies at the Gerald R. Ford School of Public Policy, and serves as director of the Science, Technology, and Public Policy Program at the University of Michigan. Her book, Patent Politics, was published by University of Chicago Press in 2017. Fosters interdisciplinary research and teaching on the politics and processes of science and technology policymaking.